Easy to make in the Instant Pot this spicy chicken will have you craving more. Other taco toppings of your choice. Mix cooking sauce and seasoning packet with 1/2 cup chicken broth in instant pot. Lay chicken inside, tossing in broth to coat. Cover Instant Pot and push the poultry button. Change time to between 20-25 minutes depending on if light or dark meat. Once timer is done, quick release the steam. Remove chicken from pot and lay on cutting board. Drain cooking liquid into another container. Reserve some for moistening chicken if needed. Put finishing sauce into pot. Take two forks and pull chicken into shreds. 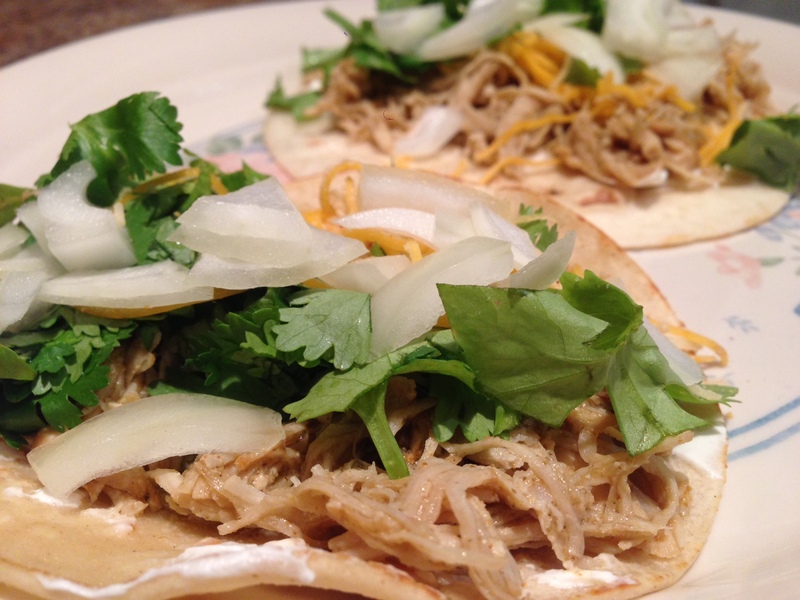 Put pulled chicken into finishing sauce and turn Instant Pot onto Saute. Add some of the reserved cooking liquid to make sure chicken has enough sauce to cover everything. Let cook for just a few minutes until it all comes together. Serve chicken on warmed tortillas. Cilantro and onions are the best.